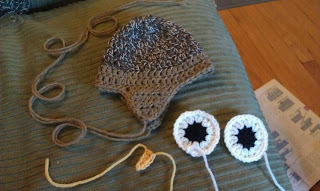 Now that I know I'm having a little boy, I'm really excited to start making specific items for his newborn photo shoot. 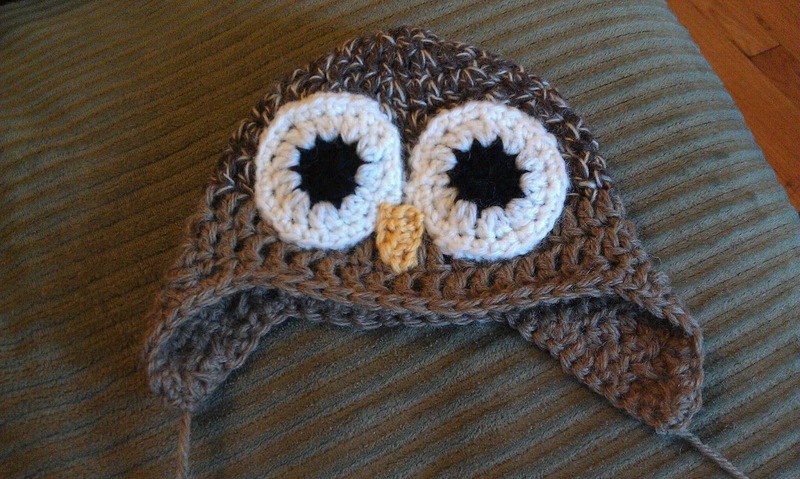 When I saw the Newborn Crochet Owl Hat Pattern I knew that it was something I wanted to create for Chirphead. Plus this is a project I should be able to create entirely out of my current stash. 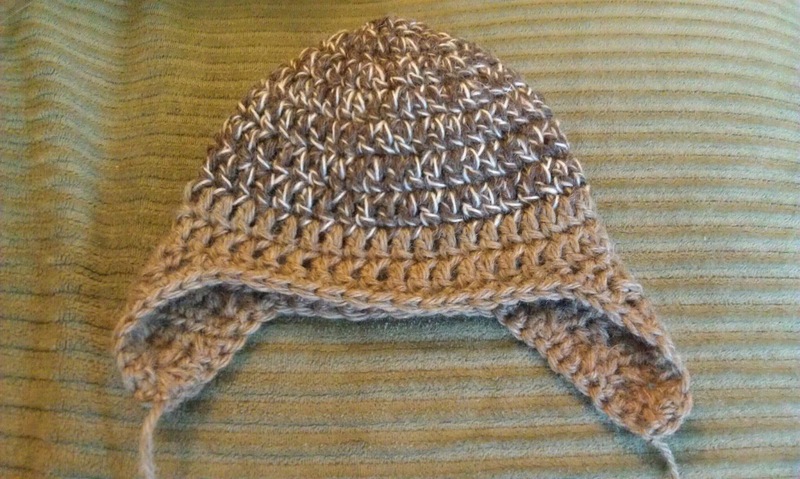 The pattern calls for a size H (5.0 mm) crochet hook and three colors of worsted weight yarn. I used Wool of the Andes Camel Heather for the earflaps (27 yards), Lion Brand Fisherman's Wool 201 for the top of the hat (33 yards), White WotA (16 yards), and scraps of WotA in Coal and Daffodil. 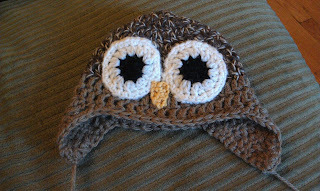 Since I don't have big cute buttons, I will use black for the interior of the owl eyes. I was a little worried about the hat size. When I hit 40 sts after row 4 it only measured about 4" wide. But with each successive row, the hat got a little wider and wider. After row 5 - 5" and after row 6 - 5.5". Plus, with such a big hook there is some stretch to the hat. I'm no longer worried! Row 4 (left) and row 6 (right). 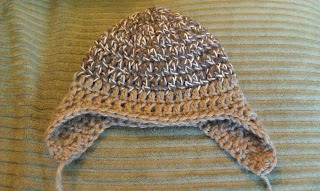 When the instructions told me to count 9 sts away from the seam, this meant that I started the second earflap on a WS row. I suppose I could have gone in the other direction, but I wanted the CH seam to be in the back of the hat (more narrow portion) rather than the front. I therefore did not turn after my CH1 so I would SC around the RS edge, rather than WS edge. 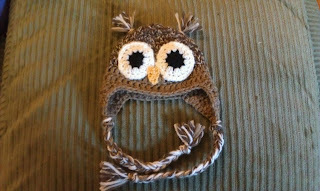 This hat is already so cute, and it doesn't even have the pieces on it! Note that for the eyes only round 1 is done in the accent color, rounds 2-3 should be white. 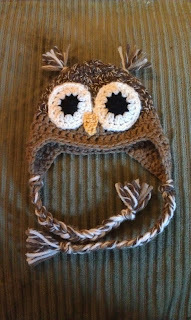 The beak was crocheted sideways. 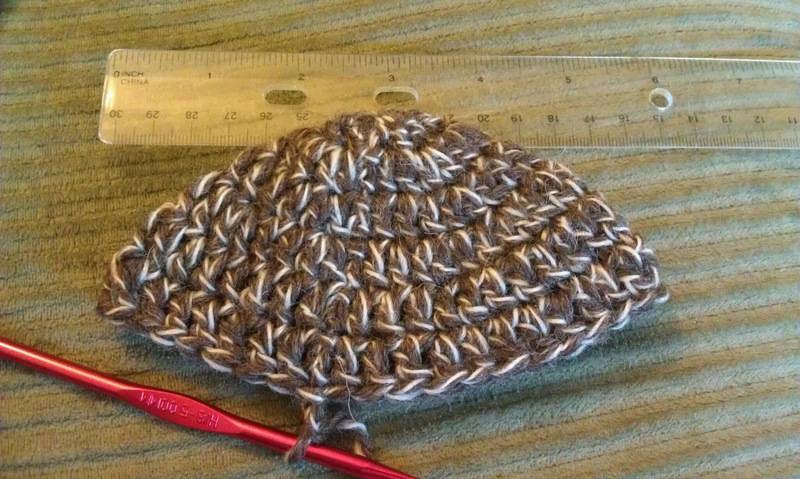 I love how simple it was and you can take advantage of the different stitches for a triangle. 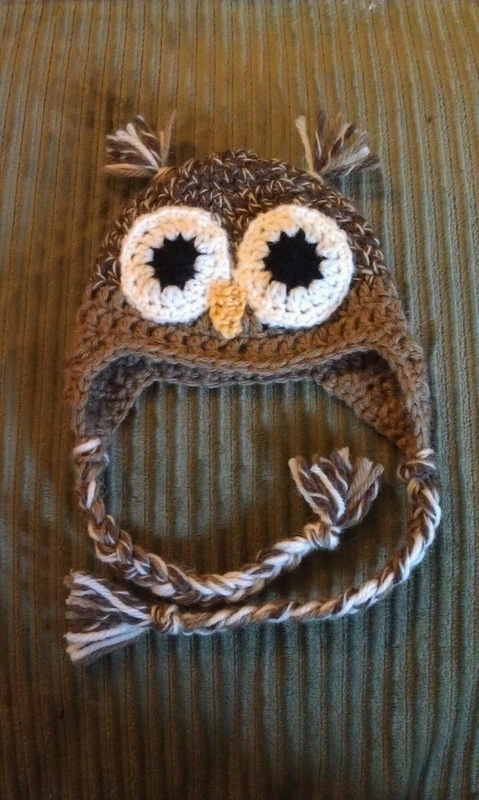 This hat is so adorable! I honestly think it is one of the cutest items I've ever crafted. I sure hope that it will fit well on Chriphead's head. If you don't crochet, don't dispair! 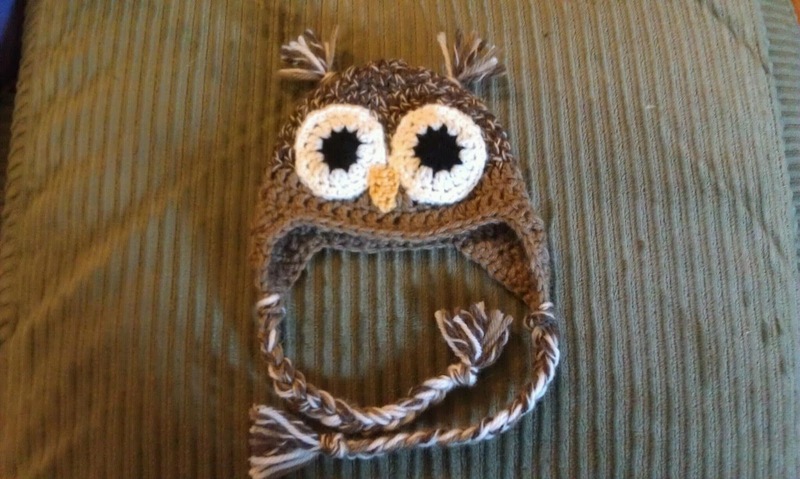 There are many adorable free owl hat knitting patterns out there!